February has officially rolled in and the festivities haven't ended yet! After we have celebrated Christmas and New Year, it's now time to bring out all of our red outfits (mental note: look for Chinese costumes for my twins) and adorn our table with all things round, red and lucky as the Year of the Pig is just around the corner. Which, by the way, will happen in a few days time! Our family has been extra busy lately as my sister recently gave birth to a healthy baby boy and so prior to that, we've been helping her prepare for the grand arrival of the newest addition of our growing family. Anyway, with all that frenzy as well as with our jam-packed schedules, I feel like we wouldn't have time to spend half a day, more so, the entire day in the kitchen. However, I will never allow that the Chinese New Year will just go by quietly so a celebration is definitely in order. Luckily, I have my go-to home delivery service -- China Mommy! Remember how they have filled our bellies with the yummiest dishes as we celebrate various milestone of my twins' first year of life? This time, we got to enjoy some of China Mommy's specialty dishes as we celebrated my Mommy's birthday. First off was the China Mommy Special Misua (Php. 2000). One order is good for approximately 15 pax or even a bit more especially if you still have a wide variety of dishes that will go with it. One thing I love about China Mommy's Misua is how each bite of the noodle gives you so much flavor similar to what probably your Angkong or Amah would prepare back then. It comes complete with all the necessary toppings that you don't have to go about town searching for some roasted peanuts or fried shallots. I love how they were so generous with each ingredients despite the increasing cost of prawns and veggies (and everything else) nowadays. Next is my all-time favorite, the China Mommy Special Chinese Lumpia (Php. 2800). Others might take a step back at the price of this dish but let me just break it down for you -- one tray is good for 20 lumpia rolls and it comes complete with the wrapper, the generous portion of filling, the ho ti, peanuts, wansoy, lettuce and sauce. In fact, if you add more wrappers, I feel it can be good for more than 20 most especially since we don't normally fully pack our lumpia with so much filling right? 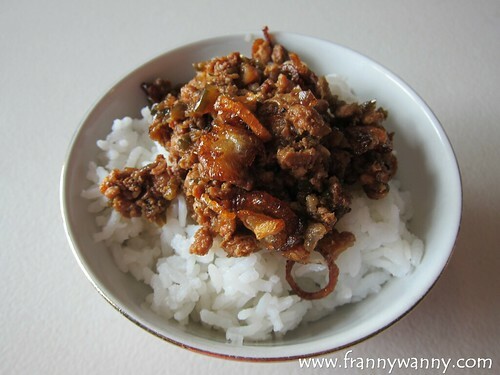 This remains to be one of my favorite dishes from China Mommy simply because they do it so so so well! Believe me, not a lot of restaurants can do one that's so tasty with the freshest veggies and even the thickness of the wrapper is just right. 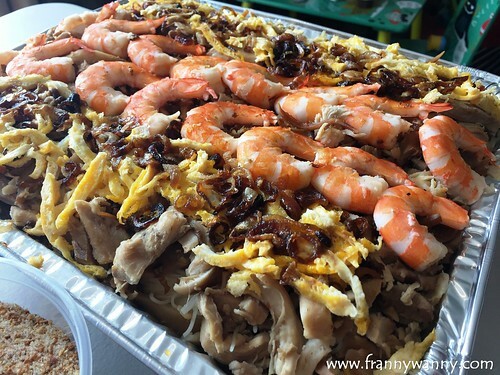 If there's one dish that you would like too order from China Mommy then it would definitely be this. What's a party without seafood? Actually let me rephrase that.. what's a fun party without crabs? For that particular lunch, we had Sotanghon Crab (Php. 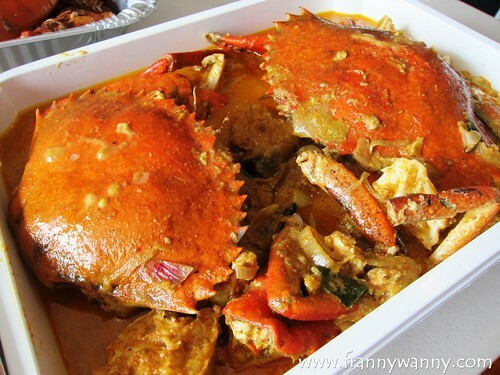 6,000 seasonal price) and Curry Crab (Php. 6,000 seasonal price). My sister loves Sotanghon Crabs and since she was about to pop then, I just thought that this would definitely be a great treat for her before she goes on her one month ge lai (post-natal confinement). True enough, she went into labor exactly a week after our lunch party making this little indulgence so worth it. Each strand of the sotanghon was bursting with so much flavor brought about by the crab and I personally like how it's a bit sticky and chewy too. 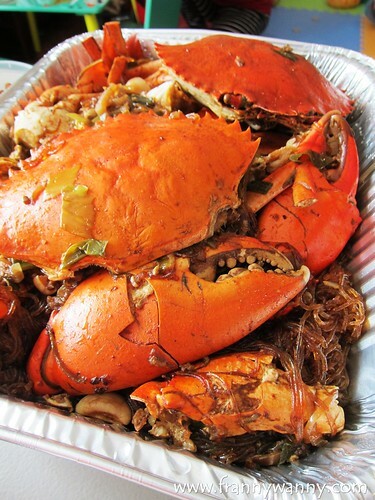 As for the crabs, we love how it's so big and meaty making it so fun to dig in (literally). Another winning crab dish by China Mommy is the Curry Crabs. We had this before and we loved it so much so we just had to have it once again. For the second time, it won our hearts and taste buds with the delicious, creamy curry sauce that perfectly coats each part of the crab. We actually had so much left over sauce that my brother in law E and Paul decided to make Crab Curry Pasta and Shrimp Curry Pasta respectively. We're lucky to have these amazing men who can cook (and maximize a good dish) so well. Lastly, China Mommy also treated us to a new dish -- her Lo ba (Php. 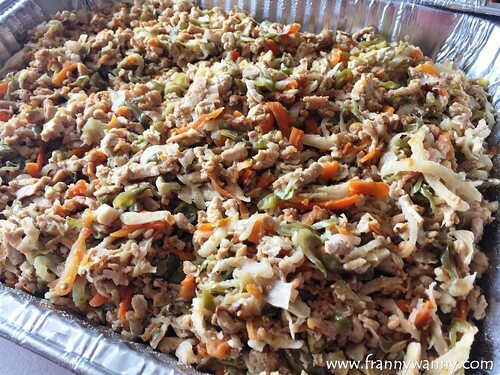 2000) which is 1.5 kilos heavy of minced pork cooked in oil similar to our favorite dish in Taipei. 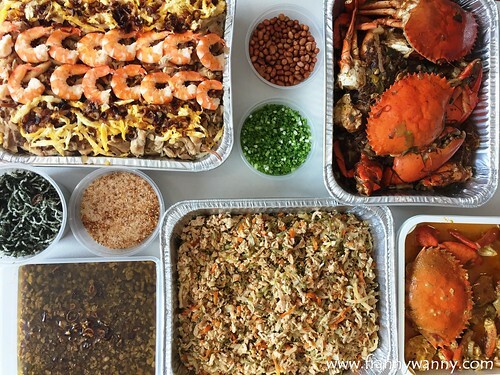 This was a carb-loaded party as we initially were trying to avoid having rice since we had the Crab Sotanghon as well as the Fresh Lumpia but you just can't have Lo ba without rice. That said, I happily got myself a bowl of freshly cooked white rice and generously topped this with a scoop of Lo Ba. Ohhh it's just so so so good! The meat was tender and the flavor was definitely spot on. Very much like that once that we had when we went to Taipei last year. This was indeed one of the best family lunches that we've had and we got China Mommy to thank for. No sweat shed in the kitchen as she got all our dishes covered. All we simply had to do was to pop open the containers, pull out our plates and utensils and started eating! Even the three little kiddies loved the Cha Misua as well as the Lumpia filing too. Here's one great way to enjoy the coming Chinese New Year. Leave the cooking to China Mommy and just enjoy the festivities with the family. Indeed, Frannywanny loves China Mommy ♥. To order, call China Mommy at 0917-5148540 or check them out on Instagram.